While the Malecón is your best bet for uninterrupted distance running, you shouldn’t shy away from seeing the rest of the city on foot. Havana Vieja (the old city) is chock full of tourist attractions at a reasonable distance from one another, so it’s an ideal location for runseeing. 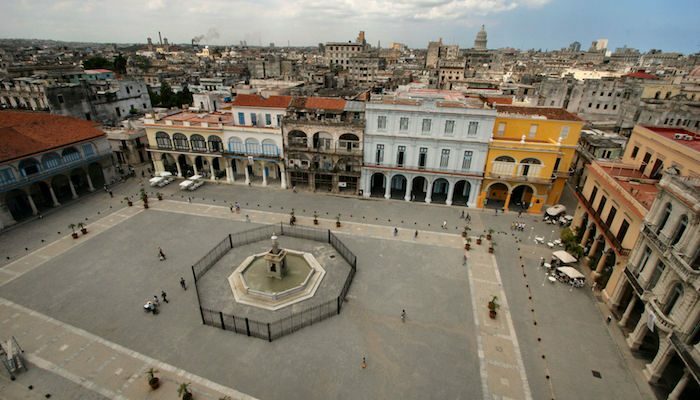 By most tourist standards, it may seem a little dilapidated, but the stunning architecture of the plazas, museums, and government buildings in Old Havana are more than worthwhile. Start out at the Capitol and run down Industria towards the old cigar factory. Then, head along the other end of the Capitol plaza and up Muralla for a look at the colorful Plaza Vieja and the rum museum. Cutting back along past the ferry terminal, you’ll pass convents and cathedrals before arriving at the Castillo de la Real Fuerza. Take Agramonte to return to your destination via the beautiful Hotel Inglaterra, the Revolution Museum, and Central Park.